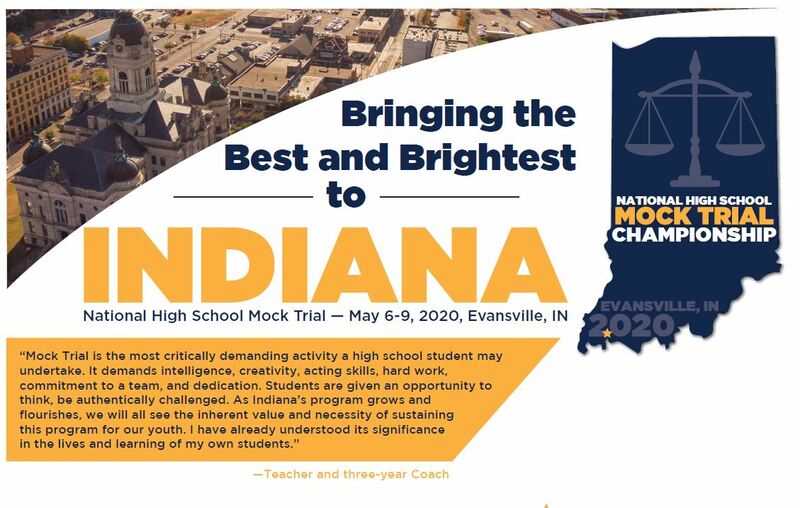 The Indiana Trial Lawyers Association has pledged $25,000 to sponsor the 2020 National High School Mock Trial Championship set to take place in Evansville, IN. The College of Fellows is spearheading this fundraising effort as part of their annual service project, and hopes that together with the rest of the ITLA membership, we can raise $25,000. If you would like to make a donation for an amount not listed, please contact the ITLA Office at 317-634-8841. All funds must be raised by May 1, 2019.